Stream anime episodes online for free, Watch Mobile Suit Gundam 00 Season 2: Episode 6 English version online and free episodes. 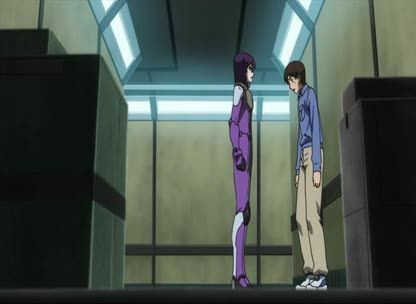 Anime Episode guide, Chapter Mobile Suit Gundam 00 Season 2: Episode 6 English dubbed Scars.Setsuna escorts Marina back to Azadistan, arriving only to find the country burning and Ali Al-Saachez in the midst of it all. When the Meisters land at the damaged Katharon base, they are greeted with accusations and mistrust. Sumeragi faints after recalling a failed mission that resulted in the death of her lover Emilio, leaving the crew of the Ptolemaios 2 on their own when A-Laws launches another attack – with Allelujah and Setsuna facing off against Soma and Mr. Bushido respectively again. A guilt ridden Saji, found and brought back to the Ptolemaios 2 by Tieria after accosting him on his actions before being released by Sergei, decides to help defend the ship as a gunner, and hesitantly and unwittingly targets an approaching GN-X III piloted by Louise Halevy.